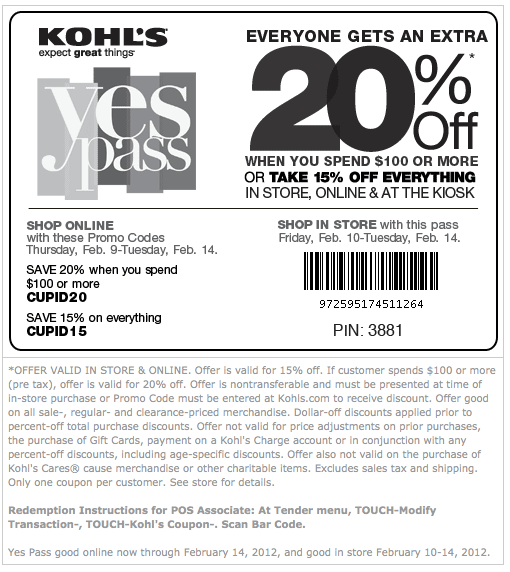 If you like Kohls, they are having a great sale this weekend (Feb 10-Feb11, 2012). Some of sale items include 50-60% off Sportswear for men and misses, 40-60% off bedding sets, 55% off decorative frames, 50% off playwear for boys and girls. Click Here to view their ad for this week.